The test is in the riding (don't we know it..) and on the handling stakes the news is positive. 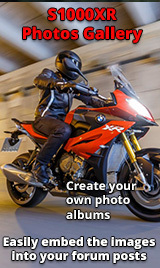 "....the XR's about as fast, frantic and effective as upright bikes get. The equally impressive partner in that sheer dynamism is the XR's handling. We won't know for sure until we pit BMW's newcomer against close rivals like the updated Multistrada and KTM Super Adventure, but on the evidence of this first ride, so called adventure bikes have never been so sharp. The front end remained precise and controlled throughout, the whole plot, partly thanks to the steering damper, stable and assured. Simply, it never got out of shape." 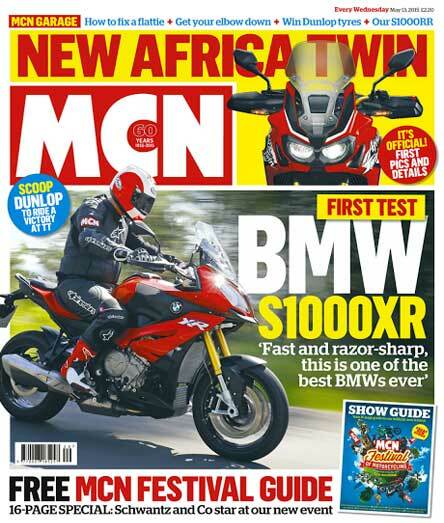 Its summed up well in the verdict which says "The new S1000XR is probably one of the best BMW's ever." Had a look online as as with these test rides it'snot on the website, so you'll have to buy the paper to get the full read. I am itching to receive mine. No hard date on delivery yet. The dealer ( Blackfoot in Calgary ) say mid June. Ordered up the full stainless Akrapovic exhaust yesterday. MAN,,,,I want to ride this bike SOON.